Puxico is a small town in Stoddard County located in southeastern Missouri. Our community is only 20 minutes from Poplar Bluff, “The Gateway to the Ozarks.” Small-town living with easy access to educational opportunities and recreation are just a few of the reasons Puxico is a great place to live. Lake Wappapello State Park offers a variety of recreation opportunities ranging from an exciting day on Lake Wappapello to a quiet stroll through the Ozark forest. 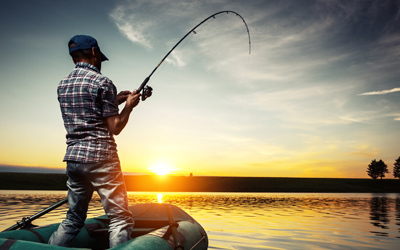 Cast your line in hopes of reducing the excellent population of white bass, crappie and bluegill, as well as largemouth bass and catfish. Enjoy swimming, boating and waterskiing. We invite you to contact United Country Hometown Realty, of Puxico, Missouri. We can save you time and money in locating Real Estate throughout Stoddard County, the Ozarks and Southeastern Missouri. We offer a fine selection of country homes for sale, farms, land, recreation property, hunting property and retirement property for sale.